Barbara works in the areas of employment law, contracts, human rights and diversity. A published author on employment-related matters and employer representative on the former Labour Court, she contributes to international bodies representing business, including the International Labour Organisation, International Organisation of Employers and the Business and Industry Advisory Committee (BIAC) of the OECD. 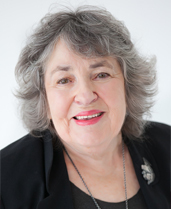 Barbara represents BusinessNZ on the Workbridge Council, the National Advisory Council on the Employment of Women and BIAC’s Employment, Labour and Social Affairs Committee. Barbara has an LLB and an MA (Hons).